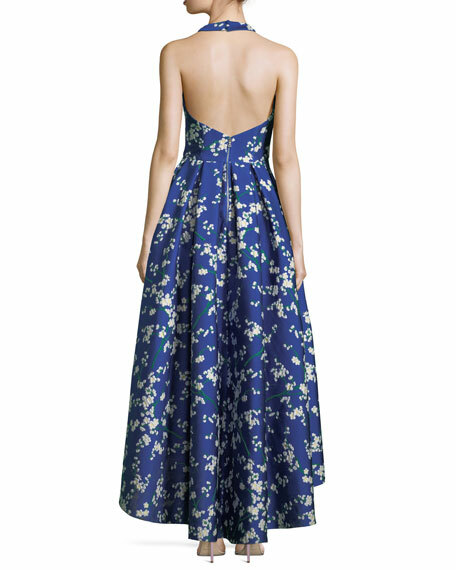 Alice + Olivia "Harper" evening ball gown with floral-print. Sleeveless; halter strap buttons behind neck. 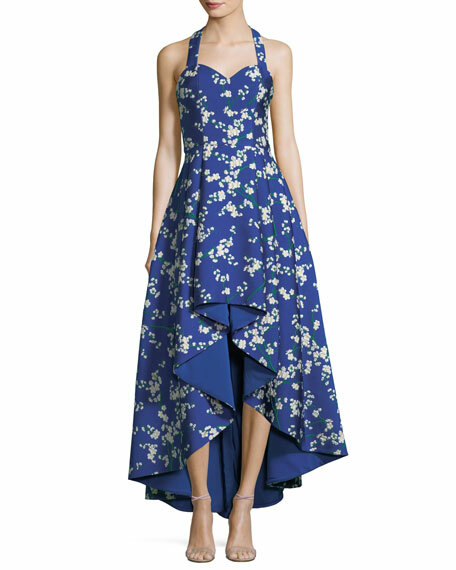 For in-store inquiries, use sku #2467549.